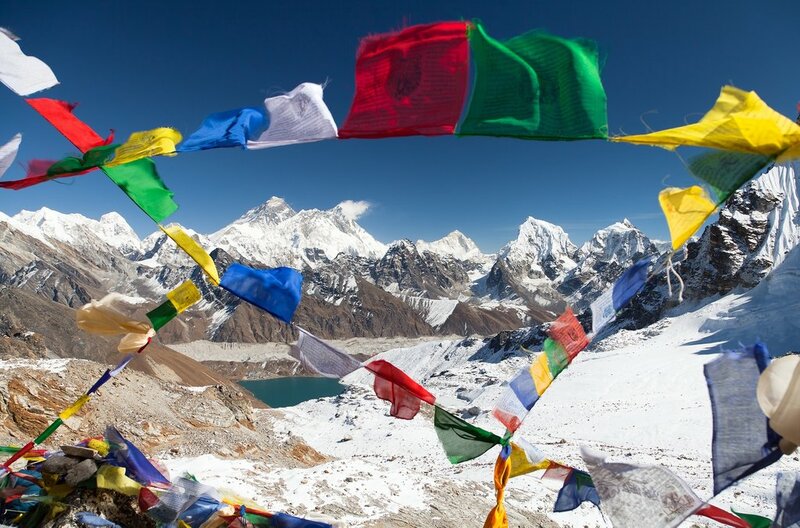 As well as trekking to the six glacial-fed Gokyo Lakes, trekkers can include a climb to the top of Gokyo Ri, which is at the same altitude as Everest Base Camp. From the summit, you will enjoy spectacular views of Everest and other very high mountains and glaciers. 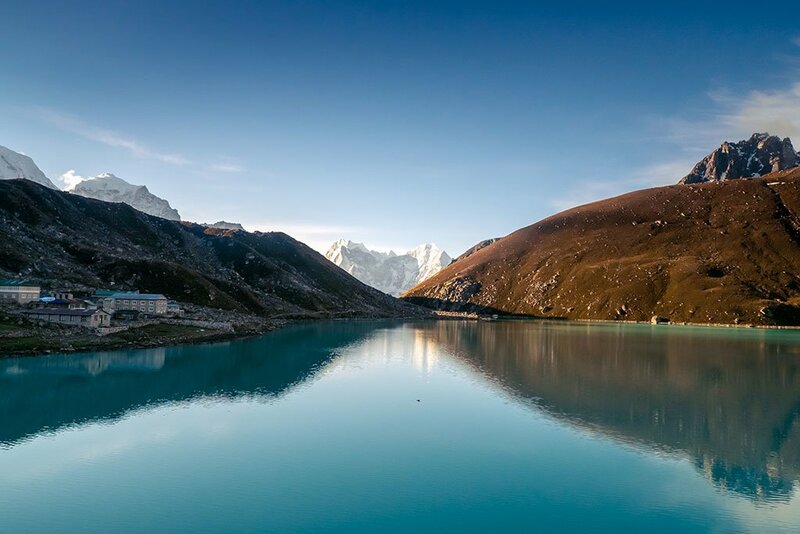 Trekking this route provides a lot of variety: views of the bright turquoise high-altitude lakes, Ngozumpa glacier (the largest glacier in the Himalayas), and views across to Everest as well as other 8,000 meter-plus mountains from the top of Gokyo Ri (Lhotse, Makalu, and Cho Oyu). As with most treks in Nepal, the best times to do it are spring (March-May) and autumn (September-November). In these months the weather is likely to be clear, and daytime temperatures warm. The Khumbu region, however, is known to be particularly cold and dry, and many trekkers develop the ‘Khumbu cough’ due to the dry dust. It is usually possible to trek in the summer/monsoon and winter seasons, but greater preparation for difficult conditions is required, and you may not get clear views. For more information, check out our article on the best time to visit Nepal. As the first part of the trek follows the same route at the Everest Base Camp trek, the most common way of getting onto the trail is to fly to the small airport at Lukla. This is a stunning experience in itself. Numerous flights are made daily from Kathmandu, in small fixed-wing airplanes, taking around 30 minutes. However, bad weather frequently closes the airport, so it’s wise to prepare for delays if flying to Lukla and to keep a day or two as buffer days. The alternative to flying to Lukla is to trek overland from outside Kathmandu, the “pioneers’ route” that was taken by expeditioners to Everest in the 1950s. This connects to the trailhead at Jiri, which passes beneath Lukla. Taking this option significantly lengthens the trek, adding about an extra seven days. It also requires crossing several passes, including one of over 3,500 meters. This is not the ‘easy’ option of getting onto the Gokyo Lakes trail, but it is adventurous and will help with acclimatization. The Gokyo Lakes trek is in-and-out, meaning that you retrace your route back once you’ve finished. Like elsewhere in the Khumbu region, teahouses on the Gokyo Lakes trek are well-developed and relatively comfortable. There is a lot of variety in this region, from ultra-budget to hotels of a quality that you could find in Nepal’s cities, with hot showers and electric blankets on the beds. However, not all grades of accommodation may be available in all settlements, particularly the smaller ones. The food will also be good, with items such as rice and curry, noodles, momos, soup and Tibetan-style bread featuring on menus. A staple food in the Khumbu region are potatoes, and these feature more prominently on the menus of trekking lodges here than elsewhere in Nepal, with fewer other fresh vegetables. The amount of fresh food available will decline as you progress higher, and costs also rise. 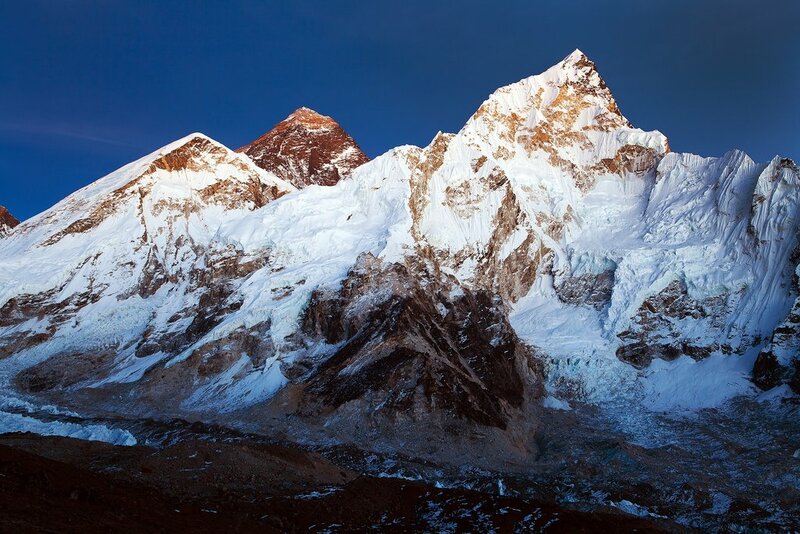 The Sagarmatha National Park (through which you'll be trekking), is a UNESCO World Heritage site. 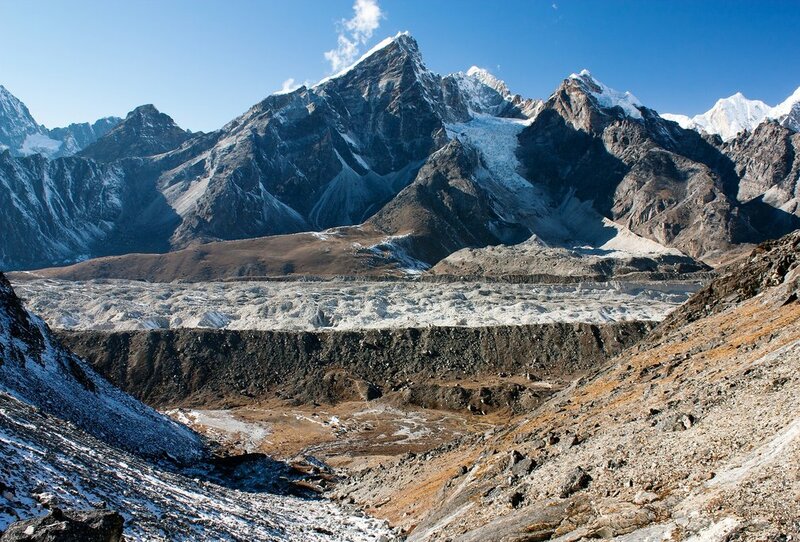 As with all treks in this park, you’ll need a TIMS and Sagarmatha National Park permit. If you’re organizing your trek through a trekking agency, they will arrange these for you. If you’re arranging the trek yourself, you’ll need to pick up your TIMS permit in Kathmandu and your Sagarmatha National Park permit in Monjo. This trek is generally considered ‘moderate’ for a trek of this length at high altitude. If trekking a route that ascends Gokyo Ri, the highest altitude that will be reached is the summit, at around 5,400 meters. The summit of Gokyo Ri is itself at around the same altitude as Everest Base Camp, making this trek generally easier in terms of altitude. You won’t be sleeping at this height at any point along the trek though, and there are fewer nights spent above 4000 meters than the Everest Base Camp trek, making it less problematic in terms of potential altitude-related problems. Instead of returning back the same way to Namche Bazaar, take the Renjo La pass (west, just above Gokyo village) and descend down into a beautiful valley that eventually leads back to Namche Bazaar, where you follow the normal route back to Lukla. This route is much less trodden and takes you through the beautiful Sherpa villages of Thame and Thamo. You can also extend your trek by crossing over Cho La pass (to the east) and connecting with the popular Everest Base Camp trek. From Gokyo village, you'll immediately cross the Ngozumpa glacier and then make a steep climb up the pass, before descending down to join the Everest Base Camp trail. The Gokyo Lakes trek can also be combined with the Three Passes trek. Crossing the second of the three passes (counter-clockwise), Cho La, takes you to Gokyo village. From there you can climb Gokyo Ri, continue on to the upper lakes, and/or follow the Gokyo Lakes route on your return journey to Lukla. If you want to combine these treks, it is recommended that you start on the Three Passes trek and join the Gokyo Lakes trek, rather than the other way around, due to the altitudes and acclimatization. 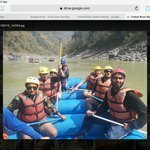 Have one of our local specialists in Nepal put together a custom itinerary that's unique to your interests and time frame. To start organizing a custom tour, click here to get started. My wife and I are very grateful for the fantastic support we have received from Erin and the local guide Chhiring. They moved so rapidly, reorganizing our whole itenerary after it became evident we couldn't do the EBC + Gokyo tour anymore due to bad weather. We decided to do the fantastic Annapurna Circuit. Definite hiking highlights here are the Tilicho Lake and Thorong La Pass, but for us, the experience is also elsewhere. For example, the fantastic food you eat on the way, meeting other trekkers, the peace and calmness of life, no internet and mobile phone connection, and even the unfortunate event of blocked roads due to busses not being able to continue in the mud. Throughout our trek, Erin was in close contact with our Guide Chhiring. To us, this just shows so much dedication to her profession and emotional connection. It goes therefore without saying that we are extremely happy with the great travelling experience and the fantastic support we received from Erin and Chhiring all the way through! Definitely recommend to go on tour with them! We had a fantastic time on our trek to Gokyo Ri and over Renjo La. From the time we landed in Kathmandu we felt safe and very well cared for. Naresh was a wonderfully thoughtful guide and we couldn't have asked for a better experience trekking through the mountains with him. The views of Mt. Everest and the other 8,000m peaks from Renjo La were even better than advertised. The lodges in Lungden and Thame were especially comfortable and welcoming, with the best Sherpa stew and momos in the region.